Thierry Henry wrote: Apologies CRTGAMER, I only just now spotted your reply and question to me. I'm subbed to a few threads and have enabled email notification for those, but for the last couple months it doesn't seem to work. So if I don't see a thread or purposely go looking for it, I'm bound to miss it. Anyways, yes that black adapter of mine was included in the box. It had its own little plastic baggy with a small leaflet type instruction paper. And yes, Rayman does that sprint of his with the EMiO stick sans adapter. Again, as with yours, with the adapter also plugged in, he walks. Thanks for the Reply. Based on your description we have the identical setup except for the color of the adapter; mine grey and yours is black. Both the adapter and The Edge Joystick electronically the same inside, I suspect the Emio The Edge Joystick itself has not been changed from the initial release. Now the big question is if the stores will carry it again which shows still unavailable due to locked to Factory Recall. Rayman Origins the perfect game for the Emio "Advantage" Stick. 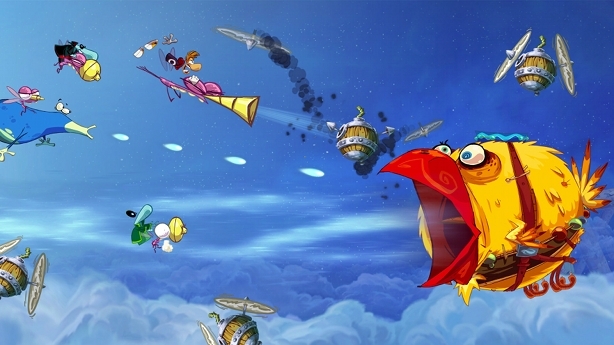 The run mode brings out a unique style of gameplay and since Rayman only requires two buttons, a perfect match. Throw in the adapter to change to walk mode for the few levels that need careful jumps. 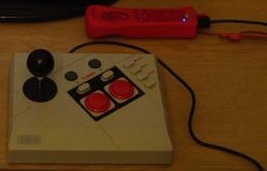 CRTGAMER, there is a post where you linked to a YT vid showing the EMiO stick connected to a Wiimote working on an original NES via the 8Bitdo NES receiver. Just to point out that the firmware of that NES receiver has to be updated (if it's only at ver. 1.10) before it can work with the EMiO stick. I updated mine to version 1.21. Thierry Henry wrote: CRTGAMER, there is a post where you linked to a YT vid showing the EMiO stick connected to a Wiimote working on an original NES via the 8Bitdo NES receiver. Just to point out that the firmware of that NES receiver has to be updated (if it's only at ver. 1.10) before it can work with the EMiO stick. I updated mine to version 1.21. 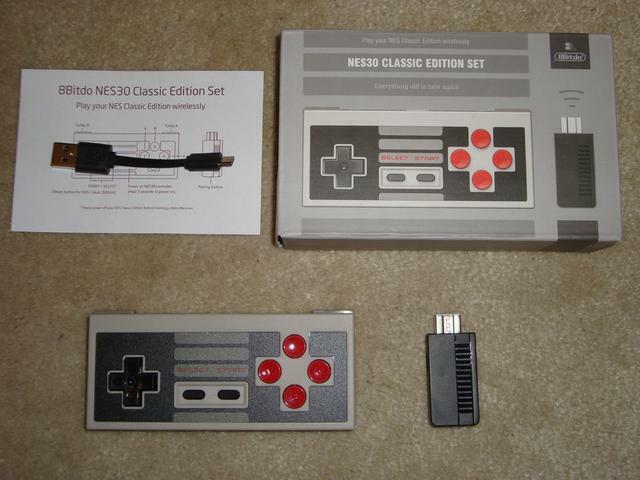 I have an NES, that is a nice option for the Emio Advantage. Thanks for the heads up on the Firmware update in case I buy the adapter. Just to add that with regard to the EMiO stick. Including the version that's not compatible on the NES Classic without an adapter. If one was so inclined, one could get it to work wirelessly (the EMiO has to be connected to a Wiimote, though) on the NES Classic without the need for an adapter, via the receiver in the 2nd pic. 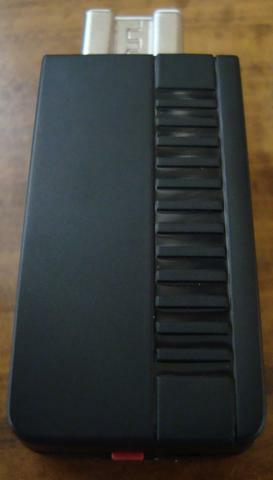 That's the receiver you get as part of the NES30 Classic Edition Set.